LG Electronics Inc. is a South Korean multinational electronics manufacturer known worldwide for its diversified product and amazing quality products. Though they are the little bit slow at the start of new Smartphone era, in 2014 LG successfully turned the table towards them by making some of the best smartphone running Android. After false starts with the Optimus series, LG basically took 2012 off; a sabbatical from the top-tier end of the market to gather its thoughts. LG's standing as potentially the most innovative and improved manufacturer of 2013 is now much more prominent by their LG G3 handset. LG G Flex is the world's first flexible smartphone before Samsung Galaxy Round. The story of LG mobile is similar in Bangladesh. Their presence was significant in 2G mobile phone era in Bangladesh. After that with the introduction of iPhone and Galaxy they were never to be found in Bangladesh. But in 2014 LG again started selling their products officially in the country. Almost all of their phones is now available in Bangladesh with the 1-year warranty. 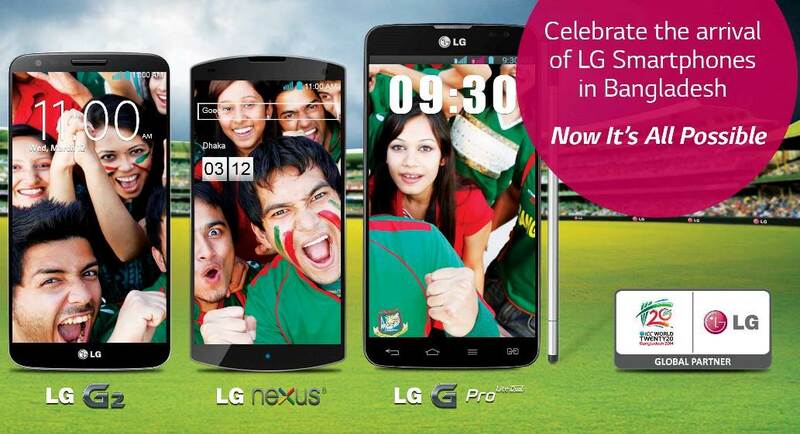 All the prices mentioned here are with official LG Bangladesh warranty. Please don't forget to comment if any of the prices is outdated. There are irregularities over the price of older phones. In most cases, i have mentioned the last available price on the market. That's why that price is higher than the latest model. * Officially unavailable. Can be bought from local retailer, in most of the cases which doesn't have any warranty.